I am dog sitting sweet Daisy this week/weekend. 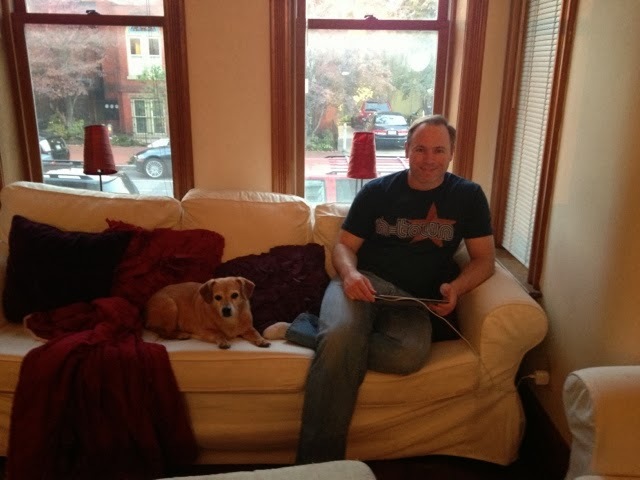 Love that pup and love that handsome man! Happy Birthday to my wonderful coworker Kristine! 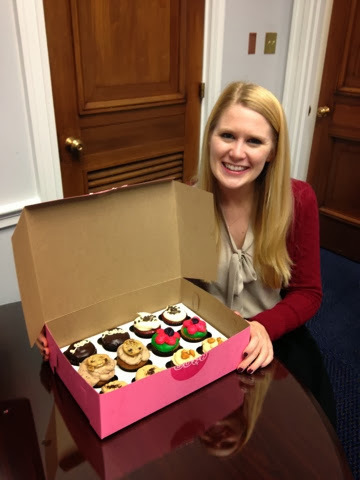 We celebrated with some delicious cupcakes. 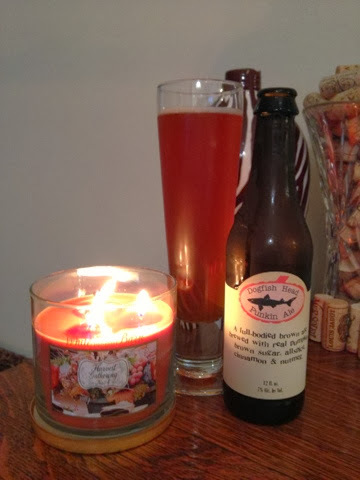 I am loving all things Fall...specifically my new "Harvest Gathering" candle from Bath & Body Works and Dogfish Head Punkin Ale. Both the candle and the beer are pumpkiny (yes that is a word) without being overwhelming. 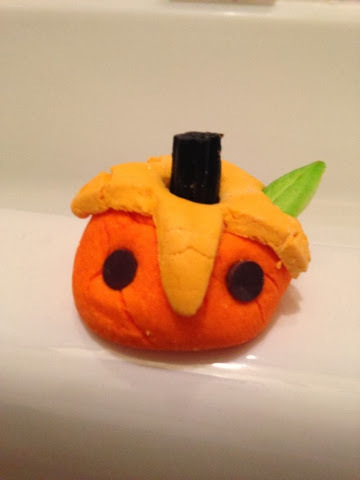 Pumpkin Perfection! I was grumpy on Tuesday and had the longest day everrrrr. 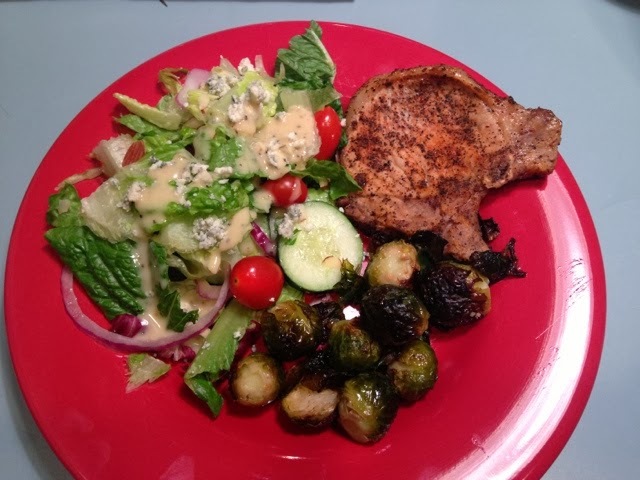 Luckily I have the sweetest fiance, and this scrumptious dinner was waiting for me when I got home. Nom nom nom. Lush products are one of my favorite indulgences, and this past weekend I purchased this cute bath ball. He smelled so good and made bath time "so much fun." I consider Lush the grown up version of Mr. Bubble...although I still like him too.